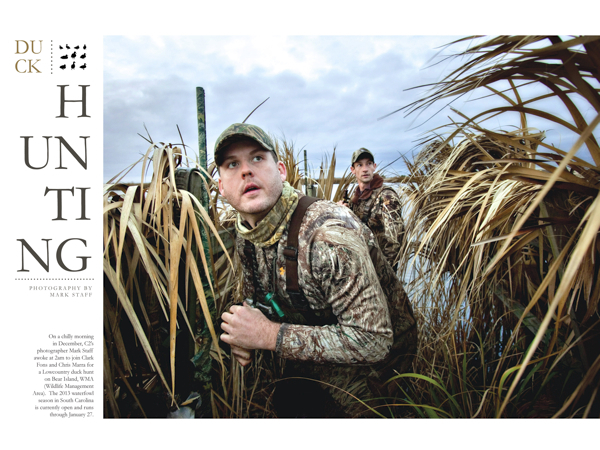 On a chilly morning in December, C2’s photographer Mark Staff awoke at 2am to join Clark Fons and Chris Marra for a Lowcountry duck hunt on Bear Island, WMA (Wildlife Management Area). 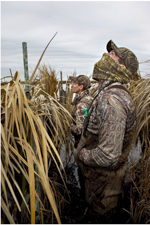 The 2013 waterfowl season in South Carolina is currently open and runs through January 27. 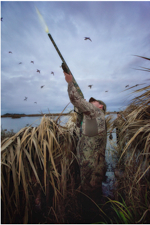 Most waterfowl fly at speeds of 40 to 60mph. 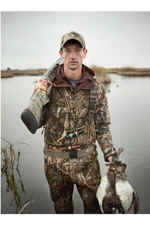 The fastest duck ever recorded was a Red Breasted Merganser that attained a top speed of 100 mph. Facemasks are an integral part of the total camouflage. 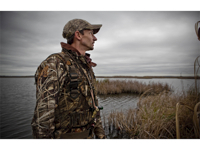 Ducks generally circle several times before starting their descent and will quickly pick up on a shiny white face staring up at them from the blind. 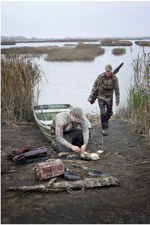 is a owned by the SC Department of Natural Resources and is managed to provide quality habitat for wintering waterfowl and other wetland wildlife including threatened and endangered species such as wood storks and bald eagles; to provide habitat for upland game and nongame species; and to provide recreational opportunities for the hunting and non-hunting public. 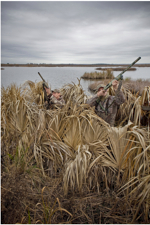 The Daily limit for waterfowl in South Carolina is six total ducks per person. 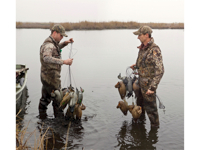 Each species of duck has its own limit and hunters are slapped with a hefty fine if regulations are not adhered to. 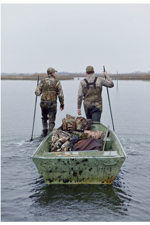 For more information, visit www.dnr.sc.gov/regs/migratorybird.